In just a matter of two weeks time, and one major overnight install, Grandesign helped Arizona Lottery pull together a surprise for everyone. Our team placed five 12-foot-tall pick axes throughout various cities in Arizona to tease a new logo and launch a social media contest for the brand. 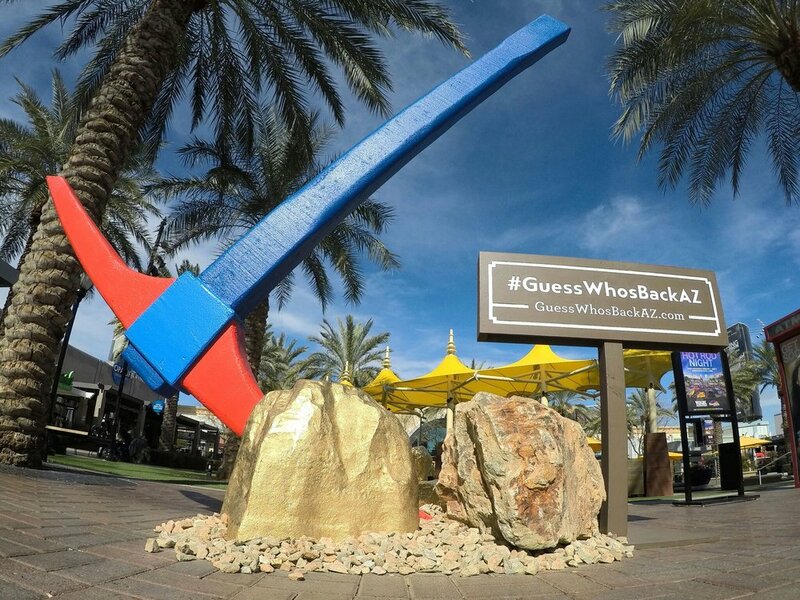 If people found the pick axe, took a photo with it, and posted on social media with #GuessWhosBackAZ they were entered to win $1,000. The contest had over 130 entries, 3,700 votes, and approximately 20,000 visits to the contest page. Our pick axes generated over 600,000 impressions on the ground, and a few hundred-thousand more on the local news.